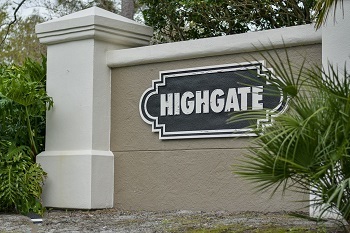 Highgate is a East Lake area Lansbrook subdivision in Palm Harbor offering a lakeside park with a boardwalk and dock for fishing and boat launch onto Lake Tarpon. Many homes have breathtaking water front views of ponds that make you forget you have neighbors. Highgate is located off Lansbrook Parkway from East Lake Road. Beautiful reasonably priced one and two story homes for sale range in price with three, four and five bedrooms and large eat-in kitchens. Most homes have volume ceilings, walk-in closets, beautiful fireplaces within approximately 2000 to roughly 3300+ sq. ft. Some exteriors include impressive in-ground heated and screen enclosed pool/spa and two to three car garages. This is a recreational community with its own parks and playground and beautiful grounds to walk, jog or bike. Located close to schools shopping, golf courses, YMCA, churches and many restaurants. One of the most requested and sought after areas, Lansbrook can't be beat. Walking distance to some of the highest rated Florida schools in the County. Selling your home in Highgate? Having successful sales experience and closings in Highgate we welcome the opportunity to meet with you to discuss the sale of your home. Please contact Lipply Real Estate for a short but informative meeting on how we can help you sell your home and get you the most out of a possible sale using our strategic marketing plan.